Home › SEO › Should I Post New Content to My Home Page Each Day for SEO Purposes? Should I Post New Content to My Home Page Each Day for SEO Purposes? This is a question that keeps popping up. Many professionals ask me about the importance of posting new and unique content to a home page on a daily basis. Most of them ask in terms of SEO or Google Search value. From my perspective, any new content is great content. What some bloggers do not realize is that their latest posts show up on the front page of their website make it look like new content is published every single day. That is the way I have my website set up. This is SEO gold. The reason this is SEO gold is because Google’s algorithms were built with fresh, unique content being a very important factor. In fact, the first few iterations of the Google algorithm valued content and links as the two most important factors in search ranking. To this day, that still holds true. If fresh content and links are so very important why are so many business owners reluctant to post new content? It takes time and effort. One of the reasons I absolutely love WordPress websites is the fact that content is so easily updated. This article was hashed out in about 15 minutes after receiving an email from a client. I didn’t have to jump through hoops to publish brand new content to my website. If you are a business owner I would suggest picking a content management system that makes it easy to update content on a daily or hourly basis. In the last two months many studies have come out illustrating the important of updated content. Most news websites that have new content updated on a consistent basis are seeing more exposure in Google Search. This just makes sense because the Google Algorithm loves anything that is unique and new. 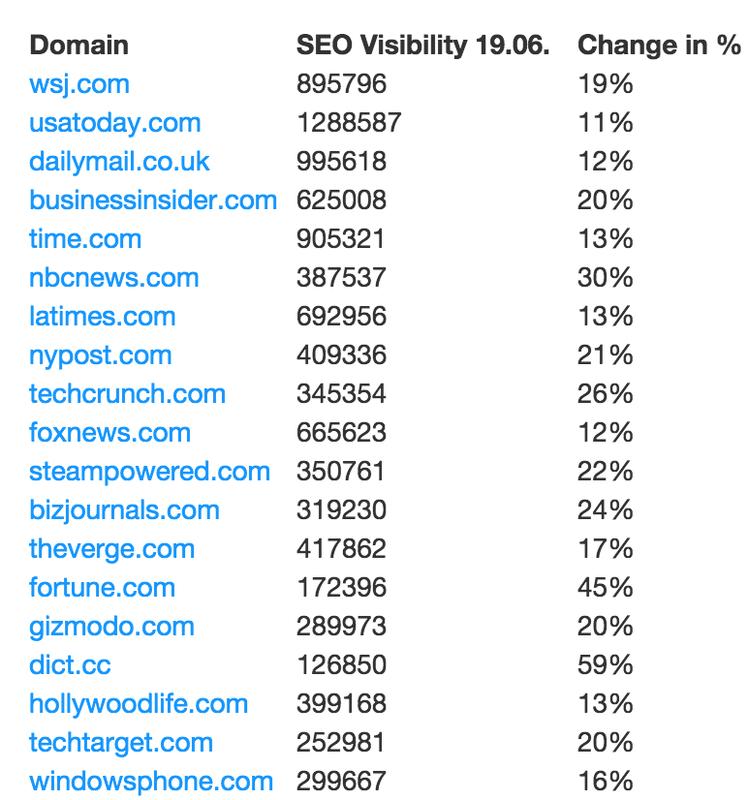 Below is a chart of the websites that have seen search traffic and search exposure grown since the latest Google Panda and Penguin algorithm updates. Notice that these are all websites that have content that is updated not only daily, but hourly. So, my suggestion is to start updating your home page with new content every single day. When you go into work update the home page with a quote or thought of the day. If you are in an industry related to finance it is very easy to update rates, stocks or markets. If you are having trouble coming up with unique daily content feel free to reach out to me at jwojdylo@gmail.com as I can help you come up with something that will keep website visitors coming back and will please the Google algorithm.